Catfights and drama will be in plenty in tonight's episode of Bigg Boss 11. The contestants will carry on with the luxury bidget task called 'Raja Rani Ki Kahaani,' in which Hiten plays the role of a King while Arshi Khan and Shilpa Shinde play his two queens, who are competing against each other. In Tuesday's episode, Arshi (who was asked by Bigg Boss to behave badly) forced Sapna Chowdhary to give her a foot massage. Sapna, who refused initially only agreed because of Hiten and later made it her business to make Arshi's remaing days in the show a living hell. In tonight's episode, we will see Sapna executing her plan. Sapna and Arshi will start quarrelling at the breakfast table after Arshi will pass an unwanted personal remark on Sapna. To irritate Arshi, Sapna will start following Arshi everywhere (much like Shilpa followed Vikas) and it will work. What will happen after Arshi will lose her cool? Hiten saved one battle between Arshi and Sapna on Tuesday but will he be successful in stopping the fight again? The second week is proving to be particularly difficult for Arshi, who will also fight with Mehjabi Siddiqui, one of the four padosis who became a recent permanent member of the house. 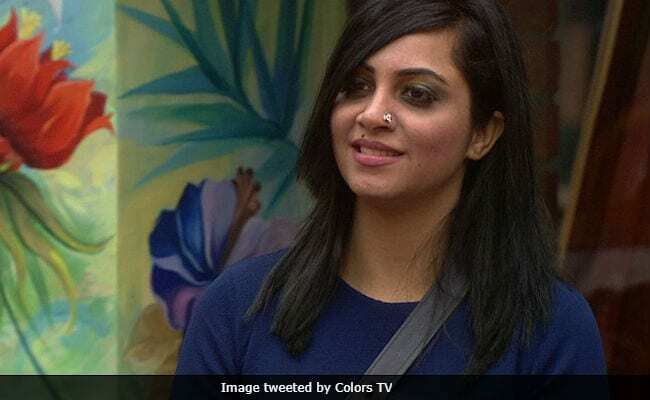 Mehjabi and Arshi squabbled over cooking duties, according to a Colors TV report. On Tuesday, things took an ugly turn for Vikas Gupta, who broke down after a war of words with Hina Khan. Vikas, who was otherwise on excellent terms with Hina, broke his mic and was subsequently warned by Bigg Boss. We hope things settle down in tonight's episode of Bigg Boss 11.